The Line Tool Company Model F Z-Axis Linear Translation Stage operates in the Z axis, with 0.5" of travel. The slide runs on Ball-Bearings, and is very smooth and precise. 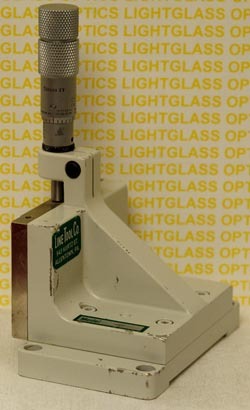 The Micrometer Actuator is included in the price.